You may have heard of this spice – found in Indian cuisine – and long used in ancient medicine. Now find out 5 reasons you need to eat turmeric every day. 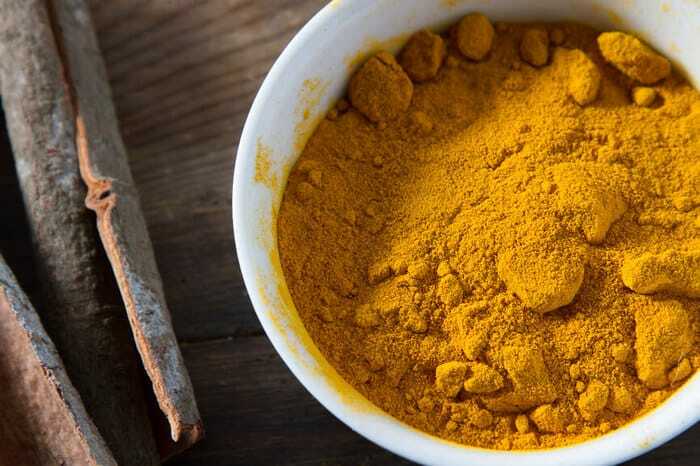 Within turmeric there is a bioactive ingredient called curcumin, and it is this ingredient that plays the lead role in the health benefits of turmeric. Curcumin contains over 150 therapeutic agents for viruses, bacterium, diseases and other chronic conditions. Let me tell you the many secrets of turmeric… if you don’t already have it in your spice rack, don’t be too hard yourself. It’s never too late to join the turmeric party. If you’re ready to add turmeric to your diet, I’ve got some important things for you to know first. Turmeric is a fat-soluble substance so it’s best consumed with fatty foods, and this doesn’t mean eat turmeric on top of your cheeseburger. It means to combine turmeric with healthy fats, such as avocados, coconut oil and nuts (soaked or sprouted works best), to allow the body to better absorb turmeric properly. Spice up your stir-fry with some turmeric. It adds an extra boost of flavor and color to your favorite dishes. It’s excellent with fish, vegetables, rice, and other foods. Add some coconut oil to your cooking along with turmeric to get additional benefits. An extra tip when eating turmeric is to add it with black ground pepper. It seems weird that another spice could help turmeric absorption but it’s true. Black pepper can increase the bioavailability (rate of absorption) of turmeric by over 1000 times. 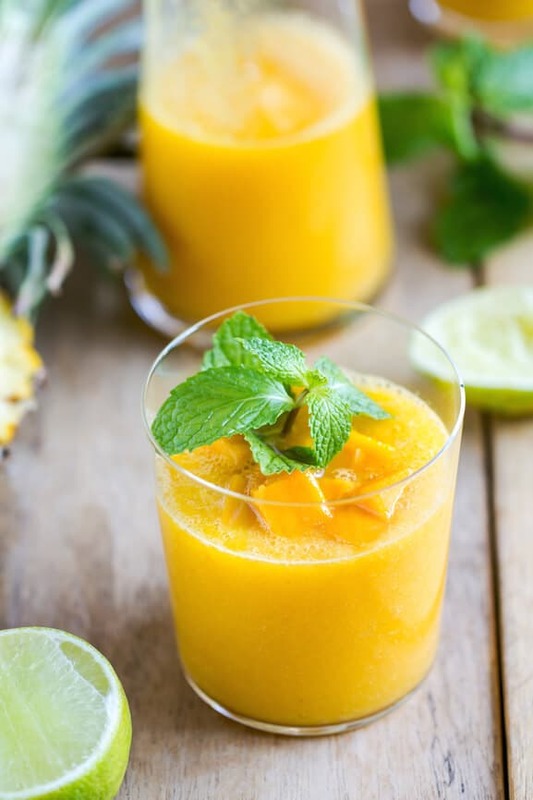 Try and buy your ingredients organic when you can, but I’ll tell you a secret… I use frozen organic mango, pineapple, oranges, and bananas so that I ALWAYS have the ingredients for my smoothie. One of the best things about smoothies is that you can experiment as much as you want. 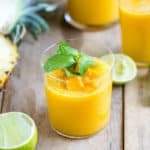 As long as you add turmeric to the recipe, you’ll be boosting the health benefits of your smoothie and creating a strong, and healthy foundation for your body and home! So use turmeric as your starting point and experiment on. Did you try this recipe? Don’t forget to rate the recipe and comment below to let me know how it went. You can also FOLLOW ME on Facebook, Instagram and Pinterest to see what other fun things I’m getting up to. You may have heard of this spice - found in Indian cuisine - and long used in ancient medicine. Now find out 5 reasons you need to eat turmeric every day. Add all ingredients to a blender. Puree for a minute or two. Enjoy! I had no idea how good Turmeric was for us, definitely getting more into my diet! This smoothie looks like a great way to start.